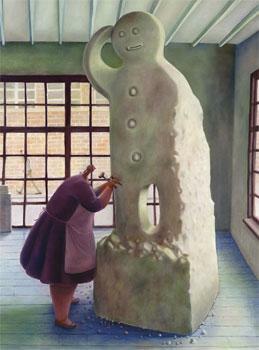 In this piece the fat lady is sculpting a gingerbread man. An interesting take on the words biscuit factory. Szikora has a fascinating imagination as well as a skilful hand when it comes to art.